So the best Sunday of all is just days away. Whether you are holding your own Super Bowl party or heading out I am sure the spreads will be massive! The Super Bowl is one of the biggest calorie days Americans take part in. Most will consume an entire day’s worth of calories during the game alone. While those pro football players will be burning thousands of calories from the opening kickoff to the final whistle, everyone else will be loading up their plates and stretching their stomachs with enough calories to leave most bathroom scales screaming for mercy! Most experts say that on balance, a healthy person who succumbs to the seduction of beer, burgers, and chips on Super Bowl Sunday will barely cause a blip on their personal health-status screen. But for people who are insistent upon absolutely no backsliding in their commitment to scaling down their waistline and controlling their cholesterol, there's a game plan for them to follow, even while watching the biggest football game of the year. The American Dietetic Association (ADA) recommends selecting fresh fruit, vegetables, baked chips, and pretzels when filling up your plate. If the party's at your house, offer entrees such as meatless chili or lean chicken strips. And for some sweet satisfaction in the fourth quarter, the ADA suggests angel food cake topped with low-fat frozen yogurt and chocolate syrup. If you’re holding a party, give people choices. If all you’re serving is pizza, Philly cheese steaks and hamburgers, that's what your guests will eat. But if you have some healthier choices as well, you'll give them some options. This goes for going to a party as well. If you know the food being served is going to be nothing but CALORIE BOMBS!! Bring your own healthy version, I am positive the host will respect you for it. While a submarine sandwich (with ham, salami, and cheese) has about 450 calories and 17 grams of fat, a typical low-fat hot dog on a reduced-calorie bun contains only 130 calories and 2.5 grams of fat. A slice of carrot cake with cream cheese icing has about 480 calories and 29 grams of fat, compared with a slice of angel food cake that will provide only about 70 calories and 0.2 grams of fat. Don't worry, you can completely enjoy super bowl Sunday without blowing up your waistline and hard work. Be smart about what your serve and limit the amount of items you put out. If you put out 14 different types of chips and dips on the table, in all likely hood you and your guest will try all 14. Instead put out only a few (and serve baked chips) with salsa and a lower calorie spread like roasted eggplant, hummus as well as limit the fat laced dips like ranch and onion dip. Melissa and Damien headed a 6 week health challenge for the HG Fenton Coroprate office here in San Diego. 40 people participated and everyone saw results! Here are a few pics of them in action. The 3rd is typically the deadline for GF entries for the month. Please Note: June compensation check is scheduled to go out June 12th. See full 2017 pay dates here. April Flowers and Victoria Patterson have been on fire with subbing, covering the largest percentage of subbing needs for the last few months. Daniel Dunlap was just shortly behind them. We truly appreciate their availability to help us out to ensure consistent service to our customer. Staying Current with Certifications: Please review your certifications to be sure they are current. If you have recently re-certified, please be sure to send the corporate office a copy of your certification. Every single check round we get at least three people who have "missing amounts" It takes more time for them to get paid that and time for us to do research, but it can all be avoided! All you need to do is run a report prior to the 3rd of each month for the previous month to be sure all the dates you taught show up at the correct rate. Please check it out, it’s a very simple 3 step 3 min process that can really save us all a lot of time. When stress hits, your body releases adrenaline, a hormone that causes your breathing and heart rate to speed up and your blood pressure to rise. These reactions prepare you to deal with the situation — the “fight or flight” response. 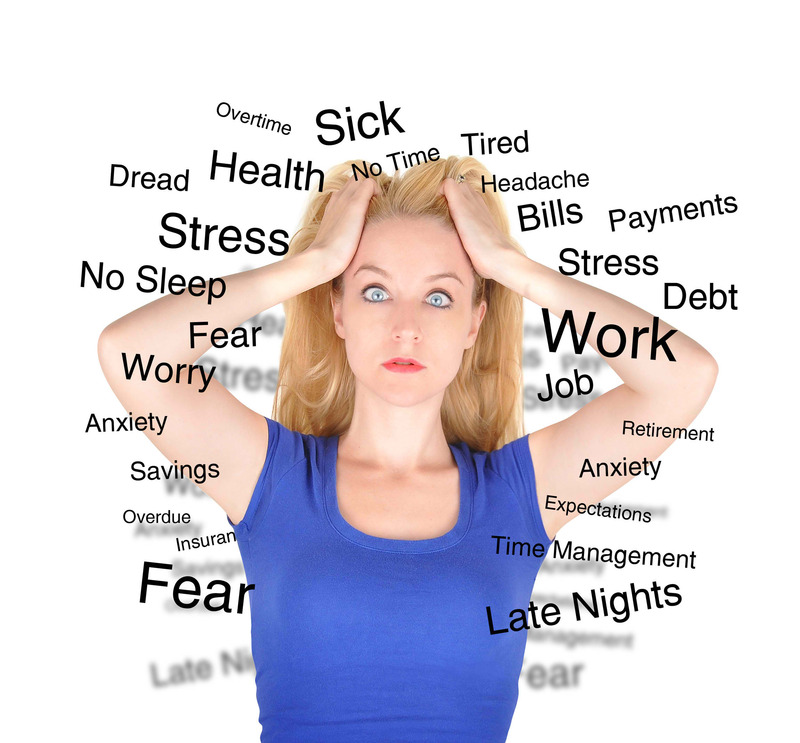 Too much stress can contribute to everything from high blood pressure to asthma to ulcers to irritable bowel syndrome. More research is needed to determine how stress contributes to heart disease — the No. 1 killer of Americans. But stress may affect behaviors and factors that are proven to increase heart disease risk: high blood pressure and cholesterol levels, smoking, physical inactivity and overeating. There may also be a link to stroke, possibly because people with high anxiety levels are more likely to smoke and be physically inactive, which are risk factors for stroke. Stress can also hurt your head, strain your back and make your stomach hurt. It can even zap your energy, wreak havoc on your sleep and make you feel cranky, forgetful and out of control. When stress is constant, your body remains in high gear off and on for days or weeks at a time. Although the link between stress and heart disease isn’t clear, chronic stress may cause some people to drink too much alcohol, which can increase your blood pressure and may damage the artery walls. Managing stress is a good idea for your overall health, but current research doesn’t prove it’s effective for preventing heart disease. A few studies have examined how well treatment or therapies work in reducing the effects of stress on cardiovascular disease. Studies using psychosocial therapies — involving both psychological and social aspects —are promising in the prevention of second heart attacks. Figuring out how stress pushes your buttons is an important step in dealing with it. To help you feel better in the most stressful moments, try these healthy techniques and repeat the ones that work best for you. • Practice positive self-talk — Turn negative thoughts into positive ones. • Find an emergency stress stopper that works for you — Count to 10, take a walk, or take time to think about how a big problem can be broken into smaller pieces. • Find pleasure — Read a book, play your favorite sport, or call a friend for coffee. • Schedule daily relaxation time — Try to devote 10 minutes a day to breathing deeply or picturing peaceful scenes. How can I make my life healthier? • Get at least 150 minutes of moderate or 75 minutes of vigorous intensity exercise activity each week. Sustainable healthy living doesn’t have to be extreme! There are ways to re-train your brain and create lasting positive changes. Drinking Water - Inspire others with a drinking water challenge. Thirst is a natural urge that should be fulfilled naturally and when quenched it often curbs those pesky cravings. Healthy Eating - Moderation is key. Eat all the colorful local produce we’re lucky to have in Southern California, and indulge diligently with your favorite treats. Working Out- It’s our job, so keep people moving! When we Teach our body that movement matters, we can change the behavior patterns of being sedentary for too long. Sleeping Well - take a nap if needed and sleep when tired. Remember a curfew on the internet and TV to balance between daylight and darkness, work and rest. Stay on track and each day your brain will retain a pattern to look for the positive. Taking care of yourself creates ripples of happiness and success in doing so can create a real revolution. Your class is still your responsibility, with SO many subs requested we need to make sure we're providing the highest quality of customer service to each location. The 3rd is typically the deadline for GF entries for the month. April's compensation check is scheduled to go out May 10th. See full 2017 pay dates here. Schedule at a Glance. Filter as you desire paying most attention to date range for accuracy. Kudos to Kris Jeynes on recruiting a new Fit-X associate to help take over her class, connecting us with Management to facilitate the change and promote it, and for using her strong relationship with her participants to make sure everyone will be happy with the transition. She even provided us with a new location referral! Best Wishes at your new home! HG Fenton Corporate Office is our newest site and we will be organizing their first employee health challenge that matches their culture called ‘TransformYOU’. This program will be for 6 weeks and has 40 participants signed up. Our Fit-X instructor Damien Joyner will be leading the corporate office team thru workouts and coaching guidance. If you are interested in hosting a health challenge at one of your locations, please connect with our Fit-X office fitxfitnessinc@gmail.com for more details. Thank you to all that attended the Stages Spin training at Scripps Ranch Swim and Racquet Club. Here is a a great pic captured by Deanna. It’s the time of year for new beginnings, fresh ideas, and cleansing. Southern California is looking shiny and lush with greenery and we’re loving it. Allow this to be a reminder that the grass isn’t always greener on the other side. It’s greener where you plant your seeds, water, nourish and cultivate it! Take some time to set your intentions, get outside, breathe in the fresh air and play. Wishing you a Happy Spring and Easter as you enjoy time with family and friends! We are looking to do another continuing education event soon and wanted your feedback on which formats you are interested in, if you have a connection to a certifying person, or if you yourself are a continuing education provider. Please email our corporate office at fitxfitnessinc@gmail.com with any tips. On that note, now that spring is here summer break is around the corner, so plan any sub needs as soon as possible. Gabriella Marrewa, Victoria Patterson, Azadeh Tahoori, and Rachel Sanchez. Be sure to keep them on your radar for future sub opportunities. The 3rd is always the deadline for GF entries for the month. March compensation check is scheduled to go out April 10th. See full 2017 pay dates here. Way to keep them moving on Monday evenings, Eugene! Every check round we get at least three people who have "missing amounts" It takes more time for them to get paid that and time for us to do research, but it can all be avoided! Nicole Edel in the Orange County area is looking to connect with other Fit-X instructors. Feel free to reach out to her. Hi, I'm Nicole and I'm a yoga teacher with FitX! I'm pretty new to the area and always looking to meet fellow yoga teachers in the area since as yoga teachers we rarely get to meet each other. I thought it might be nice if we all had each other's contact info (for subs, etc.) and maybe grab coffee one day! FitX doesn't give out other teachers contact info so they're sending this on my behalf. I'd love it if you all would shoot me an email and maybe we can set up a time to meet! Understand the role nutrition plays in helping all athletes perform at their best. Learn how to fuel your clients and take them to the next level. Check out this complimentary webinar, including 1 FREE continuing education credit, to obtain an overview of sports nutrition and learn how to help fuel your clients. On that note, spring break is around the corner, so plan any sub needs as soon as possible. Check out what NEW Fit-X Fitness Trainer Damien Joyner has in store for SRSRC! His top notch planning and marketing skills are out of this world and he’s developed a new program called ‘Super Hero Saturdays!’ This is an Obstacle Course Race Training program and is open to all levels and all ages! The 3rd is always deadline for GF entries for the month. Personal Training compensation is mailed out today. Group Fitness is scheduled for March 10th. See full 2017 pay dates here. What better way to celebrate another trip around the sun?! Run off to Vegas! Deanna will be participating in the Color Race Run this weekend for her birthday while there. Be sure to send her a happy birthday and good luck this weekend! Office hours are Monday - Friday 9am - 3pm. The office will be Closed Monday, Feb 20th for President's Day. Please welcome Kimberly O’Donnell to the Fit-X Fitness office crew! She will be working on Mondays and Wednesdays. What we do is not just about us or our company, it is about wanting everyone to be healthy. That is why Fit-X Fitness has many collaborations with other wellness businesses. We trust others for their specializations, but connect with them over a common ground of wanting to provide better lifestyles for the community. You guys are the givers! Your participants show up to see you and take away all that you have to provide. It is a self-less gift you are providing for the betterment of others and we hope you feel fulfilled knowing that. What else can we do besides offer fitness? Connect! Especially while they are in a very limited time of being disconnected from their jobs, lives and media. Talk to a new person, or a person you havent talked to in awhile. Thank them for coming to class and share what it means to you to share that with them. We hope you take a moment to watch the full message and take from it what means the most to you. Feel free to share your reactions with us. Gentle reminder that if you made less than $600 in 2016, you will not be receiving a Fit-X 1099 form. If you have any questions please ask your tax professional. Need certs? Contact Kim.Aquilo@nasm.org to take advantage of some awesome deals! The 3rd is the deadline for GF entries and corrections, and the 18th for Personal Trainers each month. January compensat, which may vary due to holidays or weekends, so check the compensation schedule. The next compensation check is scheduled to go out February 10th. See full 2017 pay dates here. Our Fit-X Instructor Rochelle Breedon has accepted the challenge of participating in the Reach for the Cure Run & Ride benefiting Pediatric Cancer Research Foundation. Please support and check out her story here - Click here to visit my personal page. "I'm not sure how to....?" Chances are most of your questions can be found on our website at Team Tools. You will need to log in to see this page. January 3rd is the next deadline for GF entries for the month of December. The compensation check is scheduled to go out January 10th. See full 2017 pay dates here. MindBody online has been updated! Cubic HQ and Tech and Mitchell International - San Diego Campus are now all under the "Fit-X Fitness - San Diego" account. Mitchell International - Orange County Campus is now under the "Fit-X Fitness - OC/LA" account. All log in credentials will remain the same. Be sure to come and wear your red for some Con-Ed cash! There will be updates on what Fit-X Fitness is up to so this is a team meeting you won't want to miss! Friday, January 13th 1:00 - 5:00pm: Metafit Training!!! "Wow...this workout pushed me to the limit. If you want something that takes you out of your comfort zone and you are short on time, this is the workout for you. I really liked how this workout was programmed and delivered, the sequencing was great. This workout will produce results, you definitely need to it a try." - Heidi Verner. Fun Stuff for the Fit-X Fitness Family!! The Challenge starts 1/9. Look up Fit-X Fitness Getting People Moving to join! We want to see how much we can move this year. Challenges are ongoing and leaders will be tracked. What do you get out of it? The bragging rights! Spread the word, get people to join, and you may be in the running for some con-ed cash. Having issues finding the challenge? Maybe you can't sign up? Email the office and they will get you rolling. The Sterling Alvarado classes have been moved from Monogram to the San Diego site due to them changing management. For those of you that received an increase for 2017, please put a reminder on your calendar to review your rate on Mindbody by February 3rd so we can catch any errors well before your compensation date. Deane Vallejo and Kelly Murphy: One of their participants dropped by to give them thank you cards for their outstanding work. Great job ladies! Daniel Dunlap for being such a huge help!